The beginning of the fall is always hectic - teachers are frantically trying to finish bulletin boards, and parents are starting to pop into classrooms. In the midst of all this, the most essential systems of support are being established. There is a lot going on, but what are key steps that ESL and bilingual teachers can take early on that will make a difference for their students throughout the year? One of the WIDA tools that we find the most helpful in the fall is the Can Do Name Chart. This chart is an at a glance resource that helps teachers better understand the language needs of students in the areas of listening, speaking, reading and writing. Share this valuable information with other teachers early on to help frame students from an asset-based perspective. 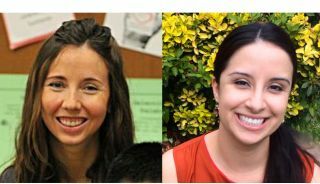 ESL and bilingual teachers are experts in differentiating lessons for ELLs, but in many schools students only work directly with these teachers for a small portion of their day or even week. If all teachers have a deeper understanding of what their students can do, it will have a greater impact on their daily instruction. Although working with small groups is very important, finding ways to co-plan and co-teach with other teachers can have an even bigger impact by helping make more content accessible to a wider range of language learners throughout the school day. ESL and bilingual teachers’ understanding of how students develop language is critical to their success, so make sure you have the chance to offer input and impact instruction during planning time. Early on you can suggest to your team that collectively you might study your planning process and notice if the needs of ELLs are add-ons or if they are an integral part of how the team plans. From there you can have reflective conversations, make adjustments and set goals together as needed. Even though these conversations can feel a little uncomfortable at times, it is so much easier to have them in the fall from a proactive place then from a place of frustration later in the year. And of course, for the students the sooner this is in place, the better. When it comes to school-wide professional development, make sure that the needs of language learners are not an after-thought at your school. Be an advocate and ensure that the professional development prioritizes these needs. For example, if your school is offering PD on technology, partner with the technology coach and focus on tools that serve as graphic, interactive or sensory supports for all students, but are particularly beneficial for ELLs. The best part about the fall is that it is a fresh start for both students and teachers - take this opportunity to make this year the best yet!